Hi. I'm Dr. Cheryl Broussard, Epidemiologist with the Centers for Disease Control and Prevention (CDC). Thanks for watching this CDC Expert Video Commentary on Medscape that is focused on medication use and its effects during pregnancy. About two thirds of women in the United States take one or more prescription medications during pregnancy; however, few data are available on the safety of most medications when used during pregnancy. We know that certain medications -- such as thalidomide or isotretinoin (Accutane®) -- cause serious birth defects when used during pregnancy and should be avoided by women who are or might become pregnant unless effective contraceptive measures are used. Unfortunately, most medications have not been adequately studied in pregnancy. One study showed that more than 90% of medications approved by the US Food and Drug Administration (FDA) from 1980 to 2000 had insufficient data to determine the risk in human pregnancy. Despite this lack of knowledge, pregnant women often need to take medications to treat conditions like asthma, epilepsy, depression, and others. Without treatment, the woman or her baby could be harmed. Albuterol is one of the most commonly used medications in pregnancy, but it is also one of those with an undetermined risk in pregnancy based on limited available data. In contrast, valproate, which is used to treat epilepsy and, more recently, migraines and other conditions, has been shown to increase the risk for birth defects and other adverse outcomes. Recent clinical guidelines recommend that women taking valproate and planning to become pregnant talk with their physicians about possibly changing to another medication to avoid these risks. A large proportion of pregnant women also use over-the-counter medications or herbal and dietary products, including weight loss products. In contrast to prescription medications, these products are typically used without oversight from a healthcare provider and are not regulated in the same way by the FDA. Safety concerns for use during pregnancy have emerged. Patients taking prescription medications also frequently take nonprescription or herbal products at the same time, which may have clinically serious interactions. Healthcare providers, therefore, play a critical role in ensuring that pregnant women receive appropriate treatment while minimizing risk to the embryo or fetus. Here are some specific things that healthcare providers can do. First, screen women of reproductive age for use of prescription and over-the-counter medications and herbal and dietary products. Women should be advised to limit their use to medications that are essential. When prescribing and considering potential adverse effects of any medication, remember to include reproductive effects --- the potential teratogenic effects of medications and the dose needed for effective treatment are especially important to consider for women who are pregnant or who are planning to become pregnant. Additionally, because an estimated 50% of US pregnancies are unplanned, it is important to discuss the potential pregnancy risks associated with medication use with all women of reproductive age who require treatment with medications (including over-the-counter medications). Healthcare providers should stress with these patients the particular importance of pregnancy planning to effectively balance both maternal and fetal health concerns. Second, know where to find up-to-date, accurate information about the effects of medication use during pregnancy. The product label, which is used in the Physicians' Desk Reference, is not routinely updated after a drug is marketed and may not contain the most recent information. Online subscription services such as TERIS (the Teratogen Information System) and REPROTOX® are available for a fee. You can also call the Organization of Teratology Information Specialists at 866-626-6847 to talk with a specialist about the effects of certain medications in pregnancy. Third, encourage pregnant women in your practice who are taking medications to enroll in studies of the effects of medication use. Because pregnant women are not included in clinical trials before drugs are marketed, post-marketing studies are critical to further evaluate their risks and safety during pregnancy. The FDA maintains a list of pregnancy registries that are actively enrolling participants. A link to this list is available from the CDC Website on medications and pregnancy. For more information about medications and pregnancy, go to http://www.cdc.gov/pregnancymedication. Cheryl S. Broussard, PhD , is an epidemiologist in the Birth Defects Branch in the Division of Birth Defects and Developmental Disabilities at the CDC in Atlanta, Georgia. Dr. Broussard received her PhD in epidemiology from the University of Texas Health Science Center in Houston and a master's in Health Education from the University of Texas at Austin. She completed a fellowship as an Epidemic Intelligence Service (EIS) officer at CDC before transitioning to her current position, and she now serves as the National Center on Birth Defects and Developmental Disabilities representative to CDC's Epidemiology Advisory Committee for the EIS program. As an EIS officer and in her current role in the Birth Defects Branch, Dr. Broussard has focused on studying usage patterns and health outcomes associated with therapeutics during pregnancy, particularly medications with unknown safety for the mother or the fetus. She currently chairs medications in pregnancy workgroups for both the National Birth Defects Prevention Study and CDC's Birth Defects Branch. She is also principal investigator of a research study of pregnancy outcomes for Atlanta women with systemic lupus erythematosus. Her general interests and activities include maternal and child health epidemiologic research, application of modeling techniques in pharmacoepidemiology, and promoting epidemiology education for secondary school students. 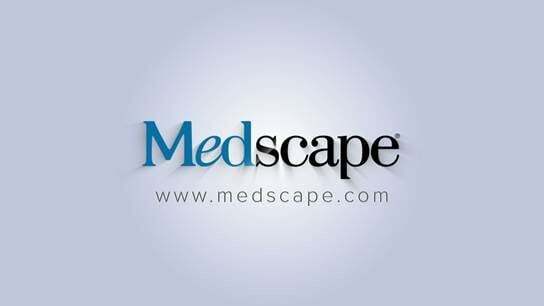 Cite this: Medication Use in Pregnancy - Medscape - Mar 07, 2011. Disclosure: Cheryl S. Broussard, PhD, has disclosed no relevant financial relationships.